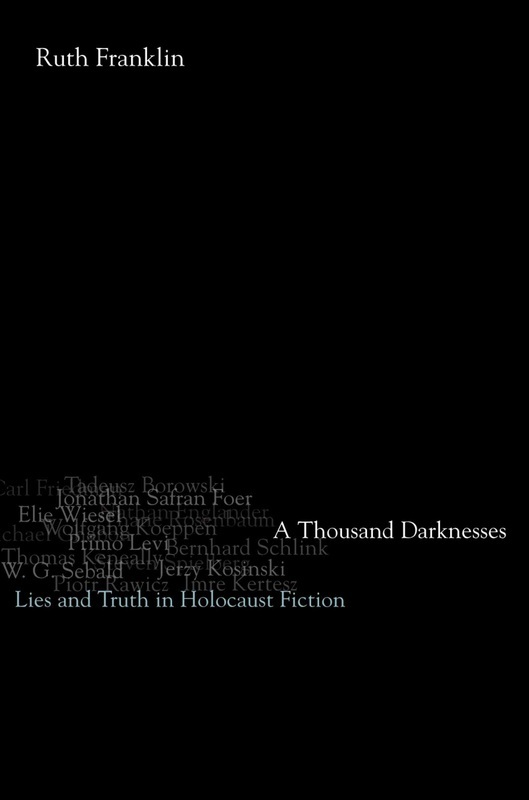 A Thousand Darknesses traces the often murky border between fiction and memoir in Holocaust literature. What is the essential difference between writing a novel about the Holocaust and fabricating a memoir? Do Holocaust narratives have a special obligation to be truthful — that is, faithful to the facts of history? Why are Holocaust writings so often thought to be exempt from the usual forms of criticism and interpretation? Taking a fresh look at a broad range of writings, from canonical memoirs by Elie Wiesel and Primo Levi to lesser-known fiction by Tadeusz Borowski, Piotr Rawicz, and W.G. Sebald, Ruth Franklin discovers that all these works occupy both sides of the line dividing fiction from reality — making easy categorizations impossible.